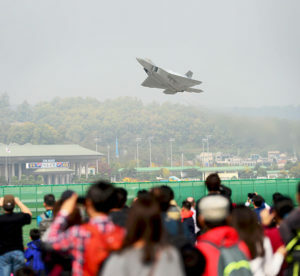 The F-22 Raptor demonstrates its unique flight capabilities for thousands of Korean civilians at the 2015 Seoul International Aerospace and Defense Exhibition held at Seoul Airport, South Korea, Oct. 24, 2015. The Seoul ADEX gives American service members a chance to showcase their outstanding aircraft and equipment to the Korean public. Nearly 150 U.S. service members and a handful of aircraft, including an F-22 Raptor demonstration, entertained a record-breaking crowd for the 2015 Seoul International Aerospace and Defense Exhibition at the Seoul Airport Oct. 24-25. More than 260,000 people attended the expo where they were able to interact with the service members participating in the ADEX. Service members spent their days answering questions and posing for pictures with eager Korean locals. Senior Pacific Air Forces representatives spoke of what an incredible mission it is to be able to strengthen our relationship with Korea, its military and the local supporting communities. 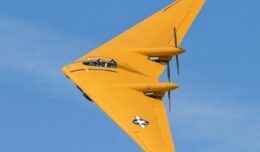 These assets included U.S. Army and Air Force static displays including an F-16 Fighting Falcon, an A-10 Thunderbolt II, an E-3 Sentry, a C-130 Hercules, a KC-135 Stratotanker, as well as demonstration flights by the F-22 and a C-17 Globemaster III. First Lt. Daniel Brom, of the 80th Fighter Squadron, Kunsan Air Base, South Korea, helps a local Korean boy try on a flight helmet at the 2015 Seoul International Aerospace and Defense Exhibition held at Seoul Airport, South Korea, Oct. 24, 2015. 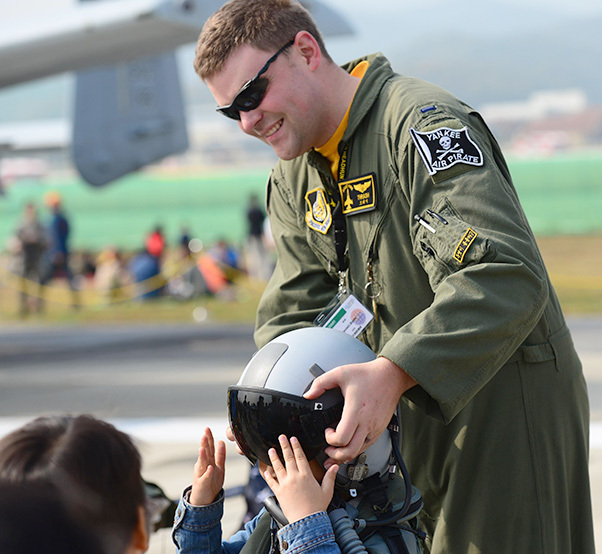 The Seoul ADEX gives American service members a chance to interact with the Korean public while showcasing their outstanding aircraft and equipment. In addition to the static displays and demonstrations, the expo boasted technological exhibits from over 370 companies and 32 different countries including Israel, Australia, France, Germany, Italy, Russia, Thailand, and the United Kingdom. 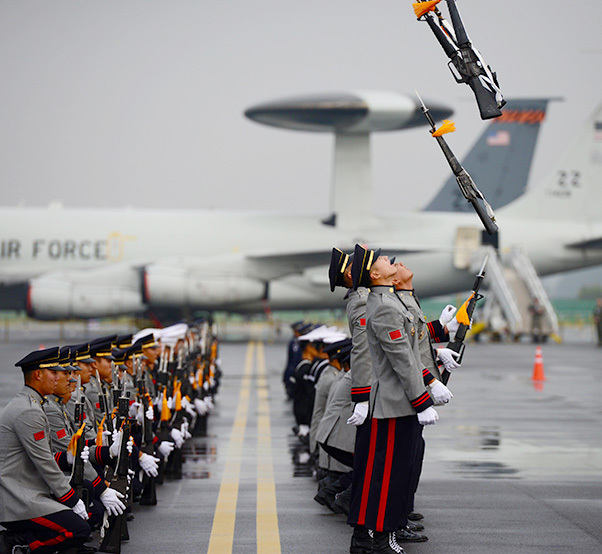 The 2015 Seoul International Aerospace and Defense Exhibition opened to the public with a colorful display of cultural history combined with regimented military drill at the Seoul Airport, South Korea, Oct. 24th, 2015. Combining the past and the present in an intricate dance of tradition and strength, the people of South Korea showcased their honored legacies to the delight of the gathered crowds. Visitors could hop in cockpit simulators of developing helicopters and planes, try out digital shooting ranges and a few were even able to get strapped into several exo-suits on site. This year also marked the first time the ROK Army has been on hand to demonstrate the maneuverability and field capabilities of several different armored vehicles that have been under development.